A hanging cradle, what could be more serene for a newborn cherub? 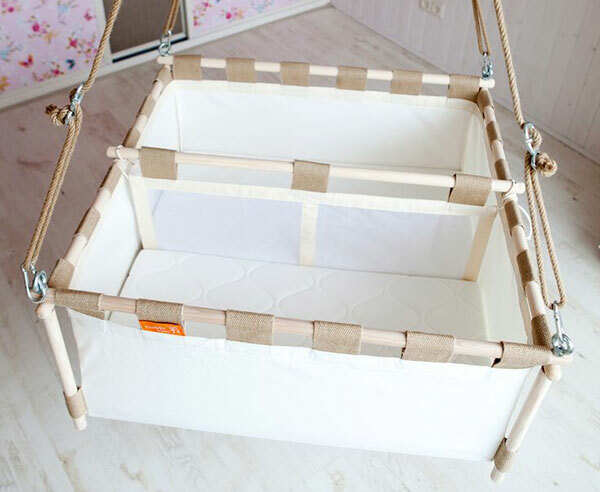 Hailing from the Netherlands, KindekeKlein Hanging Cradles are environmentally friendly cradles suitable for indoor and outdoor use – and there’s even a cradle designed for twins. Cleverly designed to resemble sleeping in the womb, the organic cotton and timber KindekeKlein Hanging Cradle (US$239) bounces and swings naturally and with each of baby’s movements, encouraging your little one to fall to sleep or with any luck, self settle if they wake themselves. Double the blessing? 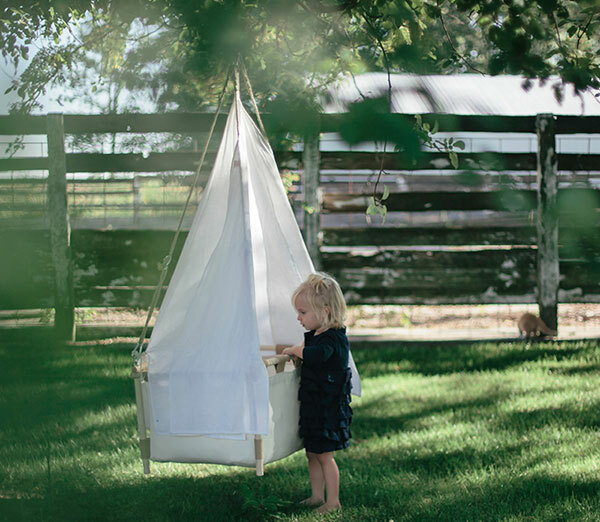 There’s a Twin Hanging Cradle ($335) designed for doubles – a removable mesh cot divider enables sweet siblings to see, smell and listen to each other at rest time. Cue much cooing. Built for young babies, these hanging cradles are best suited for newborn children up until they’re aged between four and nine months, weighing less than nine kilograms. Of course, once your little munchkin learns clever things like turning on his side or pulling herself up, for the sake of safety, it’s time to graduate to a cot. Hanging Cradles can be suspended from a Swinging Branch, Tripod, a roof beam or an actual outdoor tree branch. Alternatively, the cradle can stand alone on its sturdy squat legs. KindekeKlein ship their beautiful Hanging Cradles all over the world, so don’t hesitate, go forth and discover the easy breezy serenity for yourself!